(Please rate me. I'd love to know how you like it!) 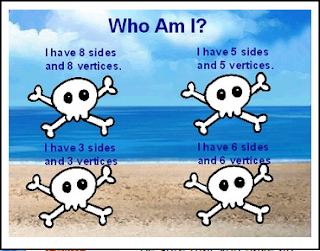 This fun pirate themed flipchart is perfect for review or teaching polygons to your students. With interactive games, videos, and a quiz it has everything you need! Polygons covered: Triangle, Quadrilateral, Pentagon, Hexagon, Octagon. Also includes an original song to help students remember polygons!